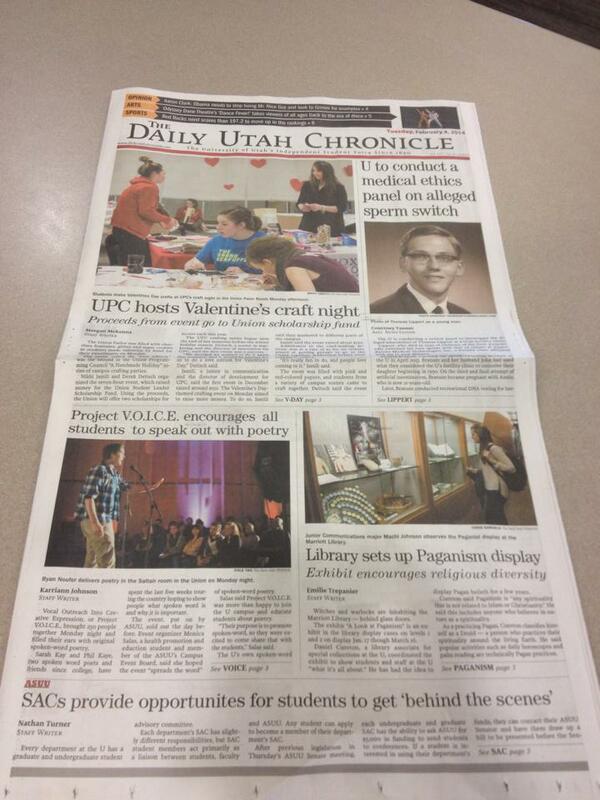 SLPS appeared again in the University of Utah’s newspaper the Daily Utah Chronicle for a second time in two weeks for doing free tarot at the Union Programming Council’s (UPC) event “Make Your Dreams Come True Day” for Valentines. Woman Between the Wolves and Muad’Dib headed over on Wednesday, February 12, 2014 at the Student Union from 11-1pm, doing 25 readings to help shape people’s future. President Muad’Dib was able to speak to some of the goals and ambitions of the Society, “We do free tarot whenever we can. It’s a spiritual service that we enjoy providing to the community.” Read the rest of the article on the Chrony’s website! President Muad’Dib and SLPS adviser Woman Between the Wolves had a great time tabling at Plazafest II this past week on Wednesday, January 8, 2014 from 11am-2pm in the University of Utah’s Student Union Ballroom. 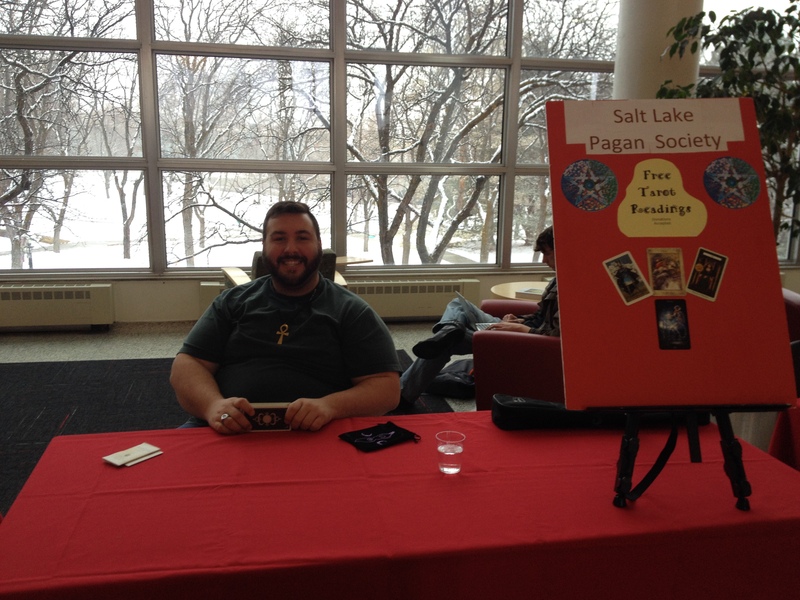 With snow falling outside, the usual free tarot helped attract interested persons and snow dodgers to the group and get acquainted with a few pagans. 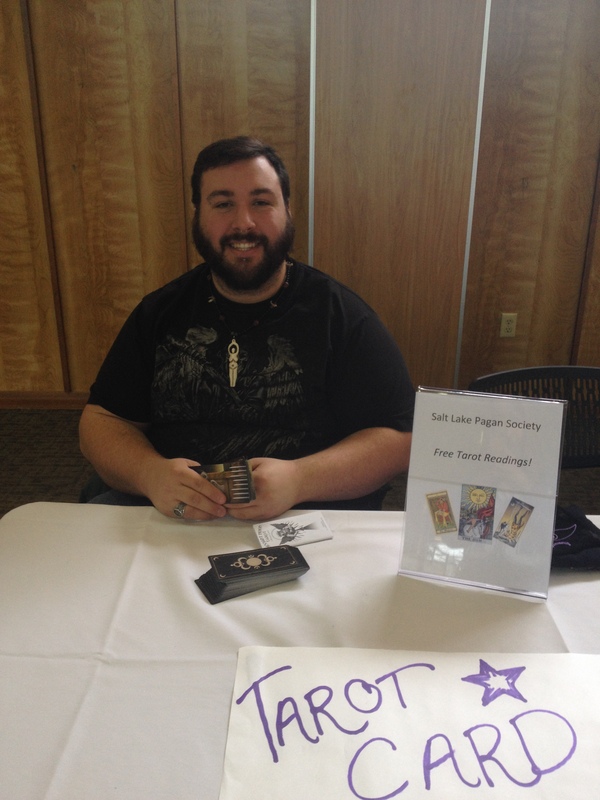 Some of the passersby that stopped for a reading had had positive experiences with SLPS free tarot from previous semesters and were return patrons! A few brochures flew off the table and SLPS hopes to see those folks at the next Witches’ Tea!